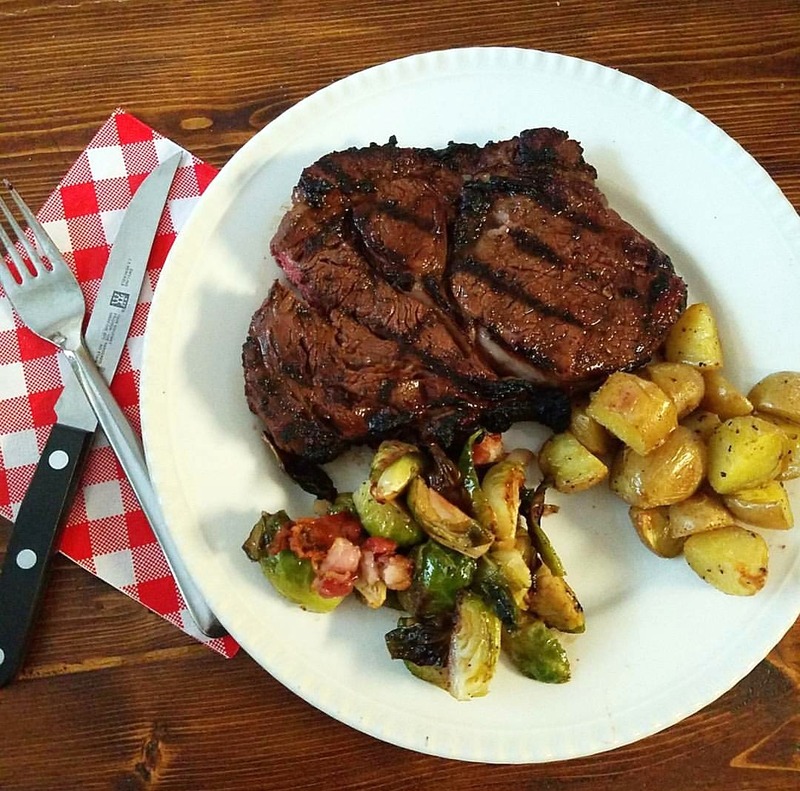 One of our very favorite side dishes is Bacon Roasted Brussels Sprouts. 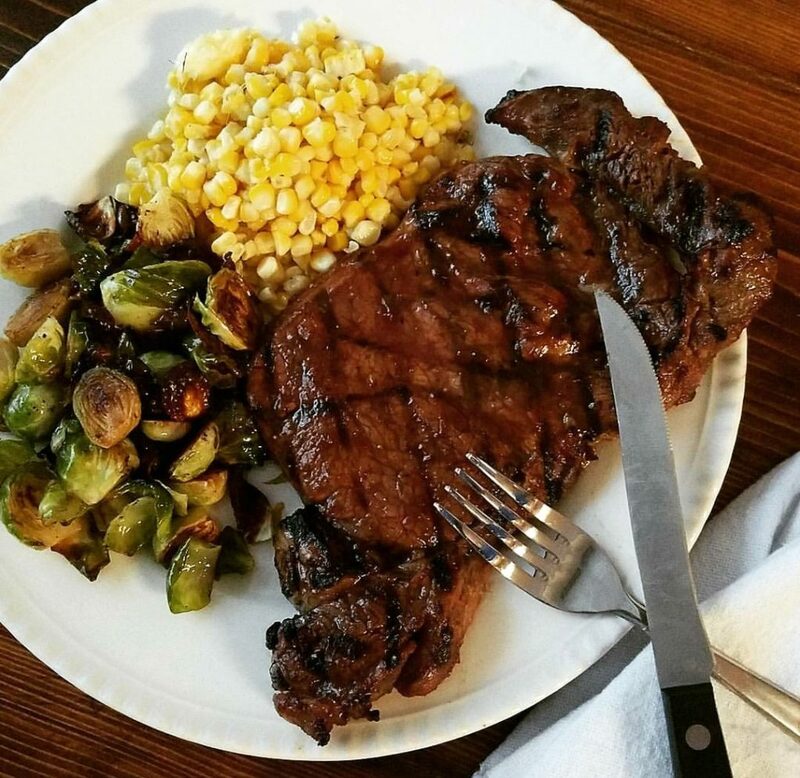 When we ask Ben what he wants for dinner, his response is always the same– “Steak and Brussels Sprouts!” When we grill during the fall and summer, we make them on almost a weekly basis, but they are really great with pork, chicken, fish- all year round (clearly, they’re our go-to side dish with steaks!). 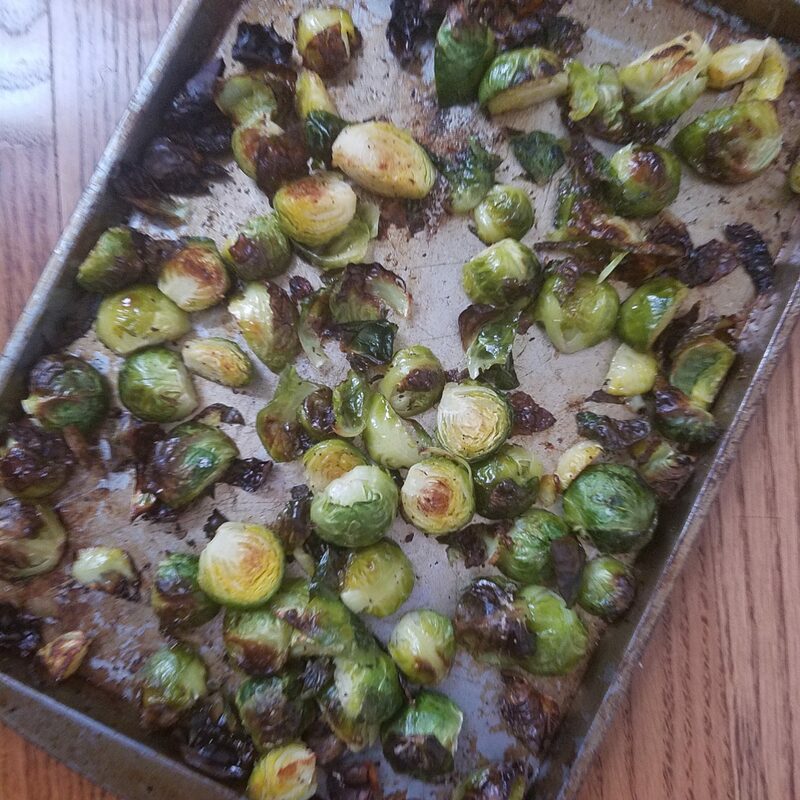 And if you’ve never had brussels sprouts or are convinced that you don’t like them, PLEASE, at least try this one recipe before you form your final decision! They are savory and crispy, light but filling, and a huge hit in our house. And here’s my recipe if you’d like to try them out yourself! Preheat your oven to 425 degrees. Spray a baking sheet with non-stick spray. 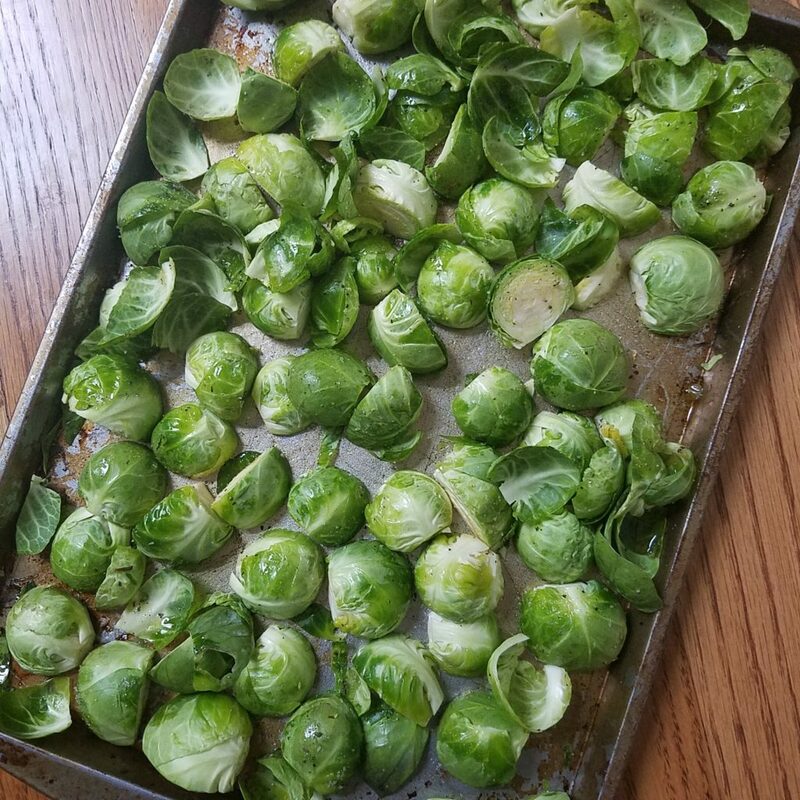 Trim the base of the brussels sprouts and cut them in half (if they are more than 1.5″ around, you may want to cut them in quarters. Just so they are all about the same size), and put them on the baking sheet. Cut your bacon into small pieces (about a half-inch wide, and I use kitchen scissors to cut the bacon quick and easily! ), and sprinkle the pieces on the baking sheet with the sprouts. Drizzle the sprouts and bacon with olive oil, and sprinkle with salt and pepper. 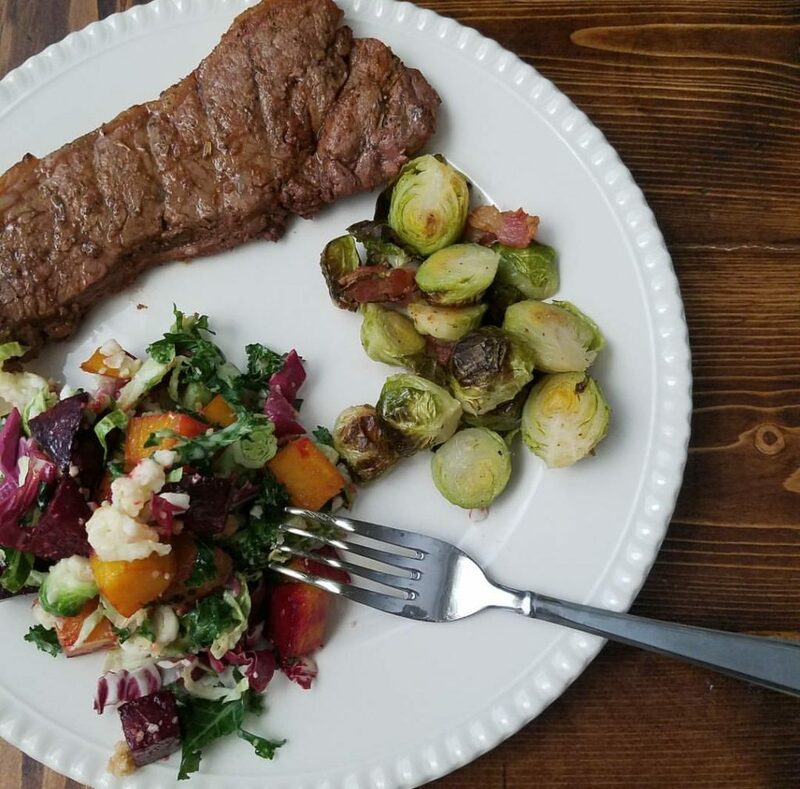 Toss the sprouts and bacon to combine with olive oil and salt and pepper, and spread out evenly in one layer on the pan. Turn the sprouts so that the cut size is down on the pan (to maximize browning and roasting! ), and place in oven. Roast for 15-20 minutes, until sprouts are brown, roasted, and softened thoroughly, and bacon is crispy. Drizzle a bit of balsamic vinegar over the top if you wish!